I created a long form with radio buttons - assuming that my users could click more than one but it does not appear that they can! Can you please explain how to change the settings so that users can select more than one button? - or do I have to re-create my entire form using check boxes? (This would be nice to know ahead of time)! 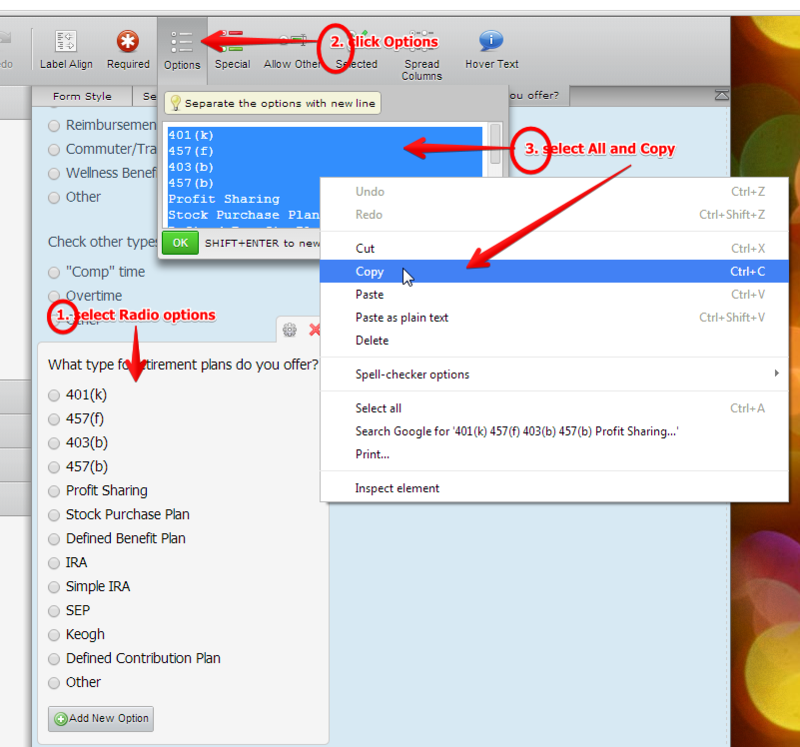 The Radio Option button is a single selection only type of field. 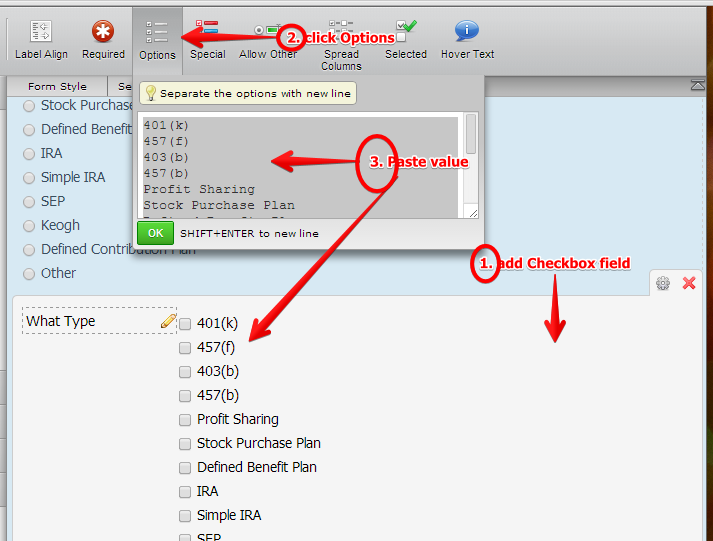 And you were right, it is the Checkbox field is the multiple selection type of field. Unfortuantely, your only option is to use Checkboxes instead. BUT it should not be difficult to redo them, because you can just copy the values of the options in Radio options and then just paste them to the value of the options in Checkboxes.